Whatever Oracle’s cloud strategy had been the past, this year’s OpenWorld conference and trade show made it clear that the company is now all in. In his keynote address, co-CEO Mark Hurd presented predictions for the world of information technology in 2025, when the cloud will be central to companies’ IT environments. While his forecast that two (unnamed) companies will account for 80 percent of the cloud software market 10 years from now is highly improbable, it’s likely that there will be relentless consolidation, marginalization and extinction within the IT industry sector driven by cloud disruptions and the maturing of the software business. In practice, though, we expect the transition to the cloud to be slow and uneven. Our recently published Office of Finance benchmark research assesses a broad set of functions and capabilities of finance organizations. We asked research participants to identify the most important issues for a finance department to address in a dozen functional areas: accounting, budgeting, cost accounting, customer profitability management, external financial reporting, financial analysis, financial governance and internal audit, management accounting, product profitability management, strategic and long-range planning, tax management and treasury and cash management. 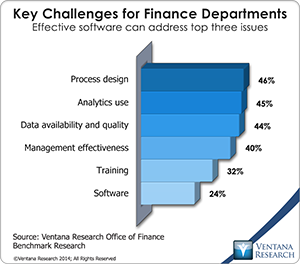 Among the key findings is this: Not using the most capable software is an underlying cause, often unrecognized, of process, analytics and data issues. 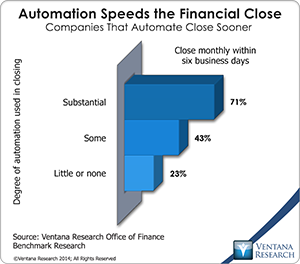 Our recent Office of Finance benchmark research demonstrates the importance of using automation to execute finance department functions. Information technology systems do at least two things very well that make better use of people’s time, and both of them can substantially improve organizational performance. First, they eliminate the need for people to do repetitive tasks, which frees them to spend time on more valuable work that requires judgment and skill. IT systems also can be programmed to focus only on relevant information while eliminating the need to get immersed in detail. The latter capability supports a “management by exception” approach, which enables executives and managers to better allocate how and where they spend their time. Finance and accounting departments are staffed with numbers-oriented, naturally analytical people. 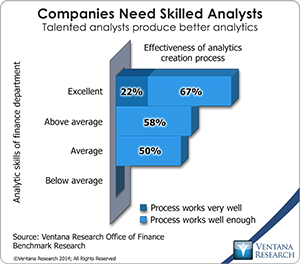 Strong analytic skills are essential if a finance department is to deliver deep insights into performance and visibility into emerging opportunities and challenges. The conclusions of analyses enable fast, fully informed business decisions by executives and managers. 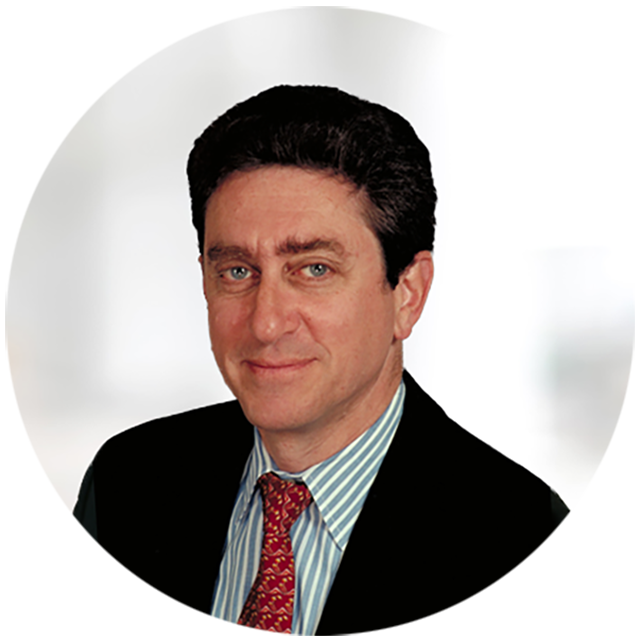 Conversely, flawed analyses undermine the performance of a company. 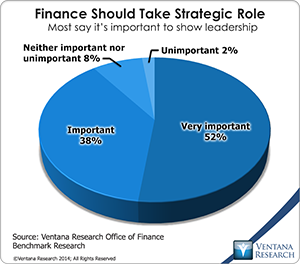 So it was good news that in our Office of Finance benchmark research 62 percent of participants rated the analytical skills of their finance organization as above average or excellent. One of the charitable causes to which I devote time puts on an annual vintage car show. The Concours d’Élegance dates back to 17th century France, when wealthy aristocrats gathered with judges on a field to determine who had the best carriages and the most beautiful horsepower. Our event serves as the centerpiece of a broader mission to raise money for several charitable organizations. One of my roles is to keep track of the cars entered in the show, and in that capacity I designed an online registration system. I’ve been struck by how my experiences with a simple IT system have been a microcosm of the issues that people encounter in designing, administering and using far more sophisticated ones. My most important take-away from this year’s event is the importance of self-service reporting. I suspect that most senior corporate executives – especially those in Finance – fail to appreciate the value of self-service reporting. It frees up the considerable resources organizations collectively waste on unproductive work, and it increases responsiveness and agility of the company as a whole. 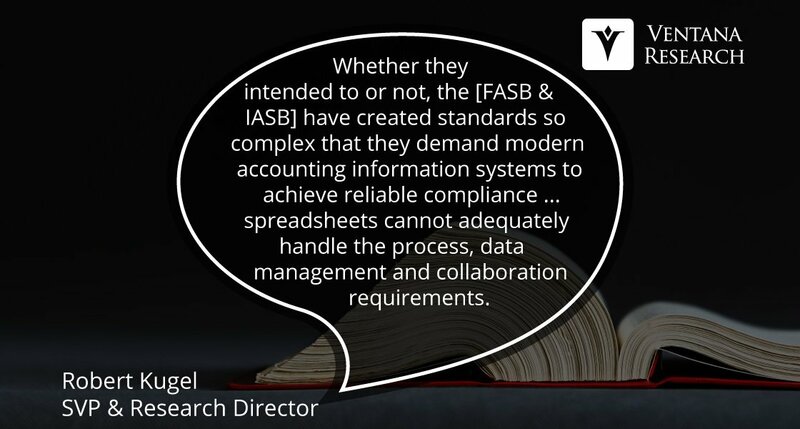 I’ve been advocating more intelligent use of spreadsheets for the better part of a decade. 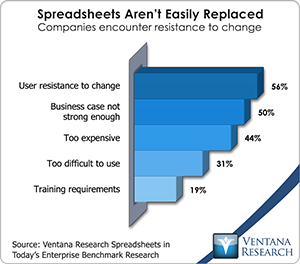 Ventana Research coined the term “enterprise spreadsheet” in 2004 to describe software applications that marry a Microsoft Excel user interface with a business rules server and a relational or multidimensional data store. This approach offers the best of both worlds in the sense of taking advantage of widespread familiarity and training with Excel while substantially reducing issues stemming from the desktop spreadsheet’s lack of data integrity, referential integrity and limited dimensionality as well as limited auditability and control. One example of the enterprise spreadsheet is data consolidation and data reporting software offered by BizNet Software. It enables business users to work within an Excel environment to assemble, manage and deliver periodic reports from enterprise data sources. 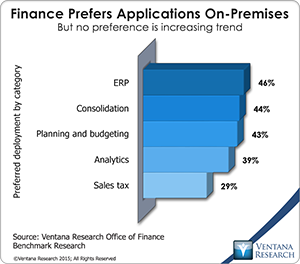 It offers greater efficiency than stand-alone spreadsheets while effectively addressing the above-mentioned core issues. Alight has announced that it is partnering with Scope Systems to provide the mining industry with planning and financial reporting systems tailored for extraction companies. Scope creates ERP solutions for companies engaged in mining, drilling and natural resource exploration. Actuate held its annual customer day in San Francisco amid the happy chaos of the World Series champion Giants’ ticker-tape celebration, and on that day the company’s ticker symbol changed from ACTU to BIRT (a shift, incidentally, botched by NASDAQ). There was a great deal of focus on its ActuateOne platform (which my colleague reviewed here) and the advancements in using open source software like BIRT with now over ten million downloads, but the aspect I want to highlight is the BIRT spreadsheet (originally Actuate’s e.Spreadsheet).